Lovely permanent tenant of my garden. Few years ago we were restoring a house. Had a lot of work going on, in the yard as well as on the house. During that time most of the plants that my late mother in law had in the garden died. My younger daughter particularly liked this flower so I planted a fresh specimen after the workers left. I would like to have a white one! A delicate flower and very nice macro capture. This is such a lovely picture, beautiful focus on the front 'heart' fave!! Lovely image. 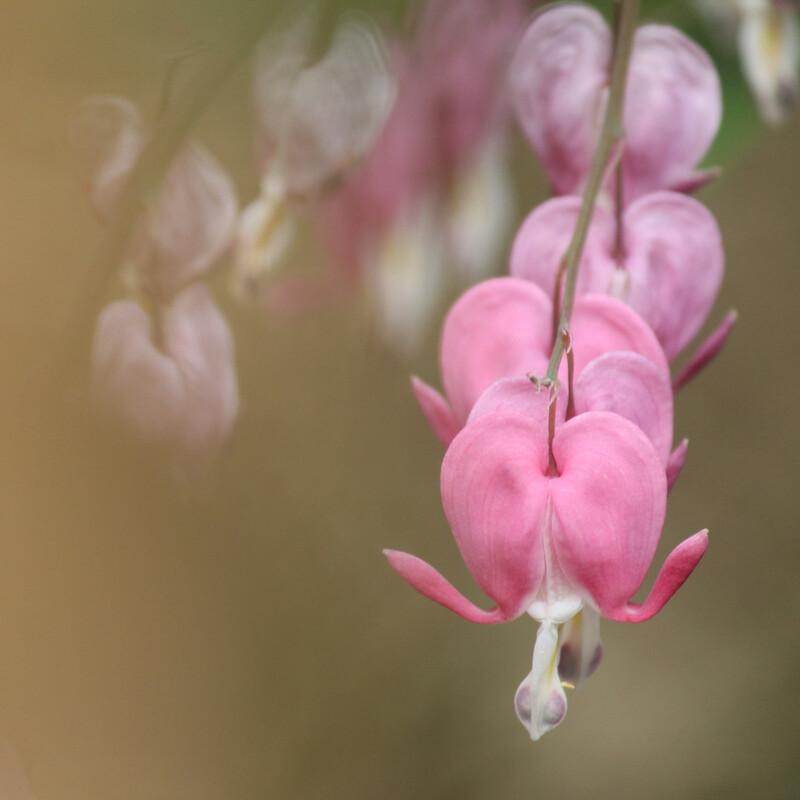 My mother used to call them 'weeping hearts'. She had lots of them in her garden. This looks gorgeous, I like the colour. These were my mother's favorite flower. Beautiful image. Love the composition. they are really beautiful flowers. So pretty - looks as if it's about to take off!